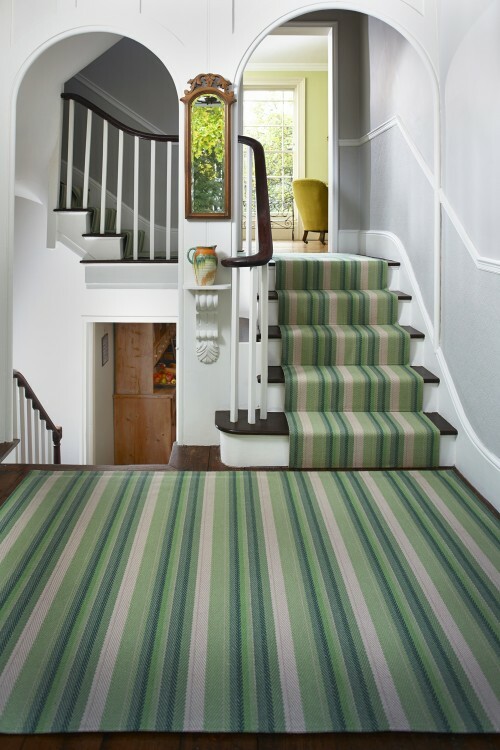 We talk staircases every day – that’s what we to do. 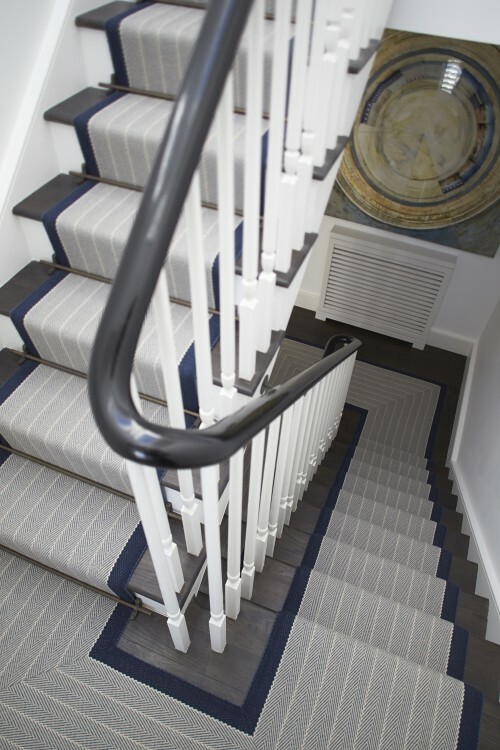 It’s easy for us to come up with the answers but what we have to remember is that YOU may not be quite as geeky about staircases as WE are – we are constantly scrutinizing every tread and riser wherever we go. 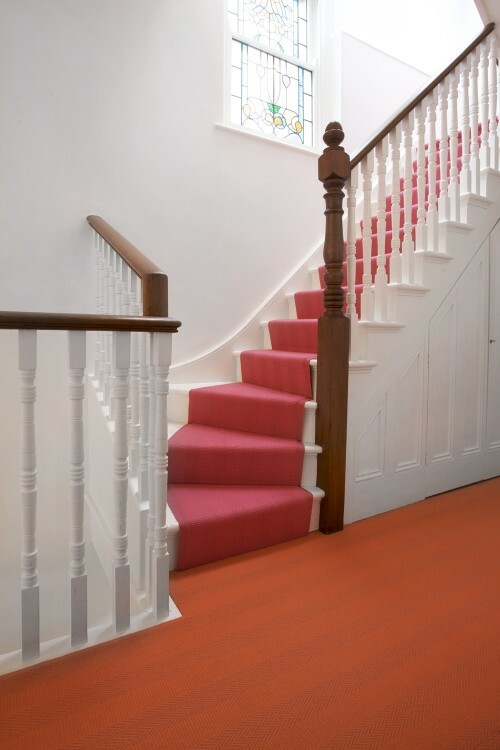 With a runner installation there are various types of finishes we can achieve on both quarter and half landings. The runner can be mitred or overlaid if a change in direction is required. 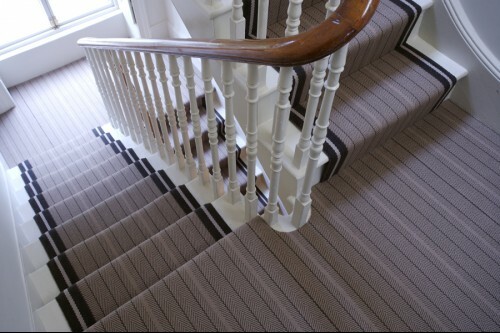 The seams/joins are either sewn by our skilled fitters on site or prepared in our workshop prior to despatch. For a landing which is a little larger in size you may wish to consider the ‘wall to wall’ option. 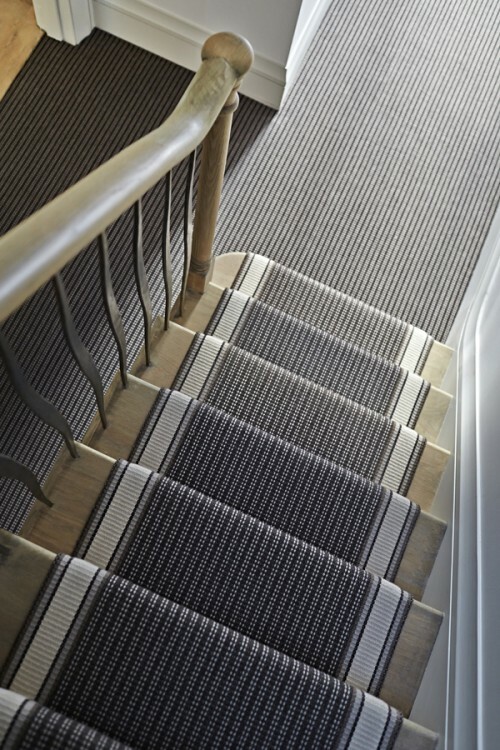 Our workshop hand-sews lengths of runner together to create large pieces, creating a truly stunning bespoke carpet. 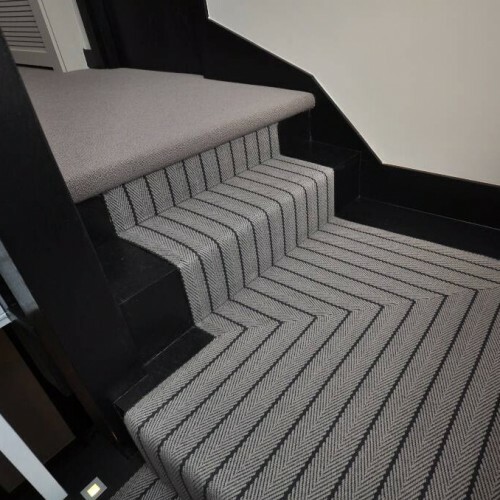 How we tackle this option depends on your design choice as some bordered designs have a complementary “ground” design whilst others have an all-over repeating pattern that can be used on both stairs and landings. Hurst Ground was recently created by popular demand to correspond with Hurst Border. 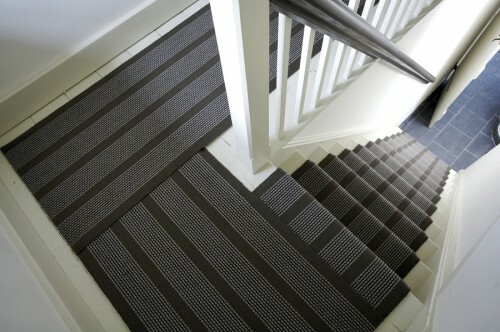 Some clients choose the same design in a complementary colour for use on landings. New Hadley is used as a runner and joined by hand for landing areas. Halle Elephant runner complemented by a broadloom textured carpet. Image from Bowloom. And finally, you may want something which gives you a little more flexibility. 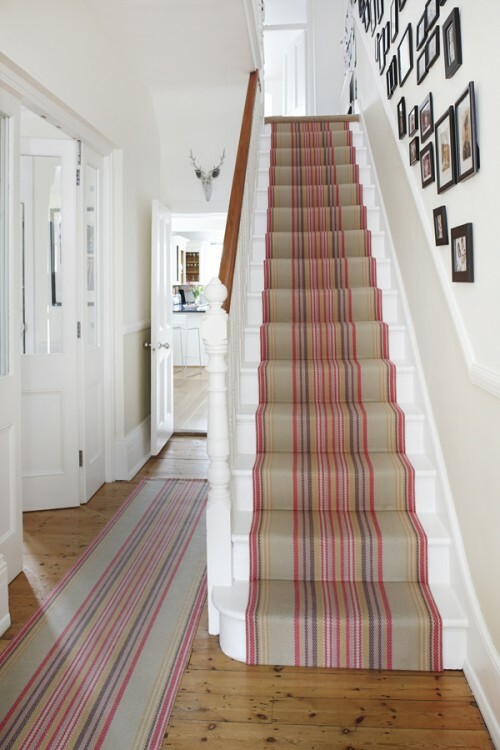 How about leaving your landings bare and then if you want to, you can introduce a loose runner or rug which can be laid down in the area or lifted up as the situation sees fit. 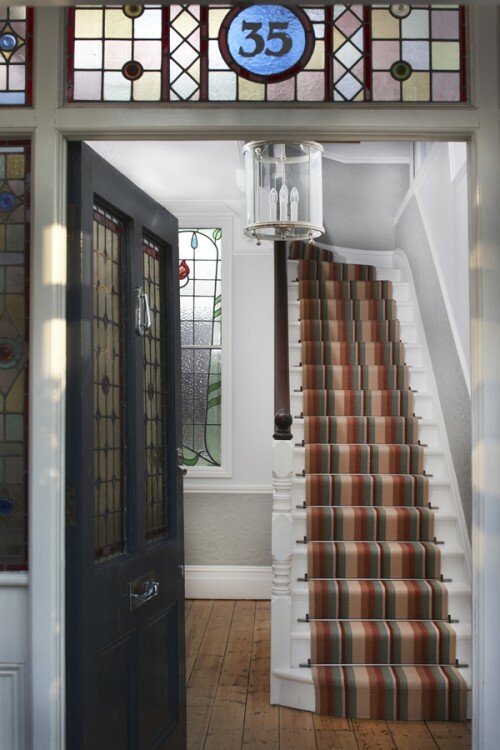 This option allows people to move with the trends and seasons giving you more versatility plus you really don’t want your Roger Oates to be getting all dirty when you have to push your bike through the hallway to the back garden now do you? 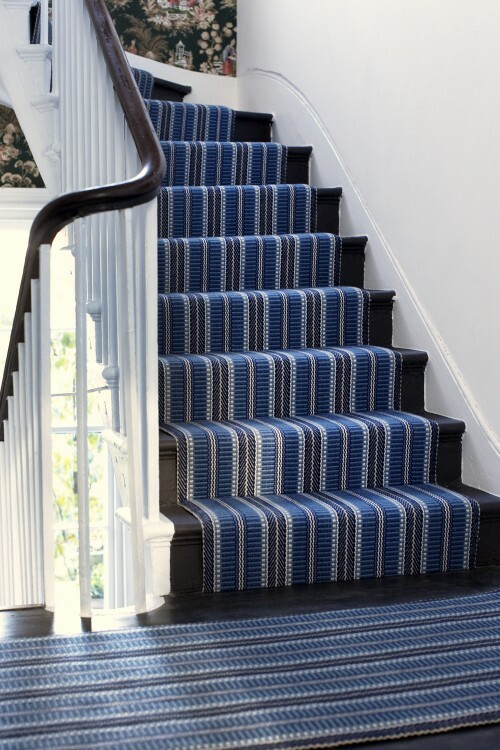 Masai Indigo fitted to stairs and as a loose hallway runner.